What I found is relevant to everybody everywhere. Whatever your interests. Because the search for that Transdisciplinary definition led me to the manifesto for implementing Agenda 21 and economic, political, and social visions first laid out at the 1992 Rio Earth Summit. In 1994 the first world congress on transdisciplinarity was held in Portugal. Its purpose was to lay out how to get the desired mentalities to evolve via education. This is all part of what UNESCO calls its Culture of Peace Project. Yes that is the origination of all that Group Project push but K-12 is not today’s focus. Remember I am using international documents that were created before the K-12 implementation in the US stalled and became partial in light of the outcry over outcomes based education and School to Work and nonacademic standards from the various disciplines like history and English and math. So we have the DeLors vision that I believe moved into the IB curriculum when those rocky shoals developed and Al Gore lost the election in 2000. The K-12 Transdisciplinary vision hid there waiting for another US President to come along and reignite what was called radical education reform in the 90s when all these documents were created. But the DeLors vision of K-12 rolled forward in other parts of the world. But UNESCO in the 90s did not have a crystal ball and it knew what kind of complete cultural shift it sought. Basically the same one the World Orders Model Project also sought starting in the early 70s that I explained here http://www.invisibleserfscollar.com/reorienting-world-order-values-via-the-intervention-of-activist-education-and-progressive-politics/ . I am not throwing out the term Marxist Humanism to be provocative and I have made the case in every post between that one and this one. Other entities have pushed and are pushing similar visions. But the history of the latter part of the 20th century and education especially only makes sense when you realize that the bounteous wealth created by prosperity in the West was and is coveted for redistribution. ICT-Internet Communications Technology–has been assumed by plenty of MH theorists all over the world to be the long sought technology that could make widespread leisure a possibility if only people could be made to share. And the best way to force people to share is to use education to create new values and mindsets and beliefs. A widespread belief in an impending crisis would also help. So in 1997 there was a conference in what must have been, as usual, a lovely setting, in Lucarno, Switzerland on the next step after the DeLors Report. The Transdisciplinary Evolution of the University was the topic. But the report issued was far more encompassing than just the higher ed component. It’s basically the blueprint for all the UN pushes that have become so controversial in so many areas. It is THE manifesto for what has come and is coming through related (if you track from the UN backward) initiatives like the US Common Core or Living Cities or Green Growth or the Regional Equity Movement. You name it and it is probably there. As usual I am giving the precise name to allow for searching but not a link since that would take it down before many of you can read this post. At the moment it is on multiple servers in multiple languages. Called “Educating for a Sustainable Future: A Transdisciplinary Vision for Concerted Action,” it was created as part of UNESCO’s call to action from the Rio Summit to implement Chapter 36 of Agenda 21 to gain the desired global social, economic, and political changes in structures and institutions and especially people’s mindsets, personalities, and values. As usual it was a call to action for the levers of the sought revolution and biosocial evolution–“the multiple partners and broad community of stakeholders in the educational enterprise.” No, they apparently don’t mean parents or taxpayers. And education, K-12 and higher ed, is how you get those new values. Especially holistic education that targets the Whole Child, emotions as well as knowledge. Particularly if you get to make education about real world problems to be engaging and relevant. And you get to supply the Big Ideas and Conceptual Lenses that students will then use to guide their daily perceptions. It’s an essential part of How to Change and Guide Beliefs 101. And grounded in feelings instead of much actual facts makes those beliefs integrated. Hard to change later. Whatever the reality. So not only is education globally the recognized vehicle for social and economic change, the idea expressed is that “not only can it inform people, it can change them.” Yes, that does make all that behavioral data being scooped up via computers in the Digital and Blended Learning K-12 emphasis all the more important. That is part of what EdX and the MOOCs are also doing in higher ed as we will discuss in the next post. In the mean time all these visions are attached to a recognition that education is essential to “a vision of society organized in a new way.” Which all my recent posts have laid out in detail as the vision attached to education reform. UNESCO and politicians globally know that “societies need to be convinced of the need for sustainable development, in order to show their capacity to devise solutions to the problems confronting them.” A recognition that of course always comes down to a belief that direction from governments at the federal, state, and local levels and international agencies are an essential component of every future economy. Despite the reality that government-centric economies in the past have gutted mass prosperity. Cronyism inevitably abounds. See IRS Scandal. It is also the cultivation of attitudes of servitude and what I would call sheepdom. Willing to move with the herd and not stand apart. I find this to be an appalling vision for the future. Especially one being delivered largely out of sight by college professors and administrators in higher ed and education professors and School District administrators and Principals in K-12. The Education for a Sustainable Future vision actually seems civilization crashing to me. Which UNESCO turns out to agree with. They believe the next resulting civilization will be the peaceable one. If they are tragically wrong, who will give the tuition or tax refund? Now how many of you have heard that Common Core cannot be incremental? It MUST be comprehensive. Reforms in teacher evals, curricula, assessment, instructional practices, etc. ALL at once. The kind of social engineering that even a weak student of history would know better than attempt. Even if everything about the Common Core was actually about academic content. Which it most decidedly is not. That’s what Outcomes Based Education was trying to achieve in the 90s and why it really set off what were misleadingly called the Math and Reading Wars. That’s what the laundry list of actual changes coming in under the heading of the Common Core are actually up to now. So your question is why? Which honestly calls for a vocabulary alert. Ding. Ding. Courtesy of a different Ivy League professor who originally published his book in Germany in 1970. The phrase is Humanist Marxism and as you might gather the M word gets dropped from most discussions of its elements. At least in public and especially in the United States even though the book by Wolfgang Leonhard did get translated and published for English consumption in 1974. The same year as Falk’s book. Think of it as game plans and rationales. Not really for my consumption but footnote tracking is a superb researching tool. Especially if you are willing to make musty old used books your Mothers Day present. It turns out, according to Professor Leonhard, that the Russians and the Chinese broke Uncle Karl’s and Engels’ well-laid out rules for revolution when they launched their plans on agricultural societies. To get a classless society that will stick you supposedly need a certain high level stage of economic development: “without it only want is made general, and with want the struggle for necessities and all the old filthy business would necessarily be reproduced.” So obviously Humanist Marxism is a strategy for a redo. This time targeting the wealth of Europe, the US, Canada, Australia and basically any place where a respect for the individual and the rule of law and industrialization had allowed wealth to accumulate. Those were and are the places that met the real ground rules for Revolution and if the proper Framework were followed, the idea is that the transformation can be peaceful. Of course that is premised on using education to change those prevailing values and beliefs and that has just never gone as planned. Which is really annoying to lots of NGOs and public sector employees and multinational companies wanting to just deal with the appropriate Ministry in every country where they do business. Otherwise consumers can be fickle to deal with and satisfy consistently. Bureaucrats can be satisfied with good pensions and gourmet meals and regular conferences at luxury locations. Much easier way to do business as long as you already have a seat at the table and lobbyists at the ready. So there’s good reason we keep encountering the phrase about using education to transform the economic, social, and political system. Except the M word gets left off now and the actual idea is that after gaining the support of a majority of voters, the “laws and institutions obstructing the advancement of [the redistribution vision] will be abolished.” Use the rope ladder to gain control and then change the rules. No wonder the US IRS targeted the Tea Party with these very real contemporary plans for change using democratic methods and education and the federal printing press to lure compliance with the HM vision. Now I am not going to dwell on the Personal Identity and Development of the Full Personality aspects of this vision because we have addressed it repeatedly. But it is why there is so much emphasis in the actual mandated implementation of the Common Core on social and emotional learning. And why Karl Marx’s Human Development Model fits our facts so well as I explained in an earlier post. And the HM economic vision is about co-operative enterprise that meets needs, not wants. Planned to meet the needs of the community and each individual. Which would explain why we keep encountering that very economic vision in so many places now and so many previous posts. M&E as interpreted via HM also plans to liberate the “human personality from the division of labor” which does rather explain the rise of the Competency movement since it is assumed that “nobody has one exclusive sphere of activity.” Someone wrongly believes it is better to have a fully developed surgeon than an able one. 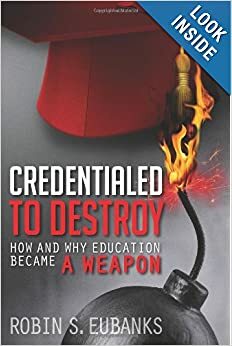 Combined with everyone’s “comprehensively developed abilities and aptitudes” we get education that demands “first of all that intellectual and physical work should be fused, and that schooling should be combined with practical work through polytechnical education.” For ALL. Which is precisely where high school reforms are quietly going in state after state as a stealth component of the Common Core. All three of these books used that phrase “socialism with a human face” as the aspiration. It’s the aspiration for the related education reforms as well. It also means whether known or understood by the average person or not, these remain the intentions for the Common Core. Now the purpose of English’s book is to give a palatable story of why the USSR ended peacefully. Changed ideas. Except English has the New Thinking as coming from Evald Ilyenkov and his philosophies of a revised dialectics based on social problems generally, not just issues of class. And Gorbachev would have known of the Humanist Marxism movements going on in the West, especially in higher ed. And the related movements in the UN and OECD . And all those trips of educators to the USSR and providing Soviet psuchology and philosophy for English translations. What led to the Cultural-Historical Activity Theory school now being pushed all over the World. That’s where the New Thinking fits. Lots of people have known that. It is we parents and taxpayers who have not been in the knowledge loop. Who were not told these plans for education. Who did not attend the conferences laying out how to mobilize action to get the desired transformation. We are the ones who were and are supposed to remain ignorant for long enough for this to be a done deal. Now the question will be can enough people find out in time to avert these visions of where we are to be taken in the 21st Century. Without permission. Sorry this went long but it was too important to break up. One of the hardest aspects for those of us who have grown up in free countries, especially the United States, is to grasp what it is like to live in a society committed to having its citizens think ideologically. Through the prisms of political theory. With the lens of models supplied and practiced with until the filtering becomes quite unconscious. Reflexive. Habits of mind common to almost everyone that are at the core of perceptions and daily behavior. I should have had this insight last Christmas when a friend who had grown up behind the Iron Curtain began to tear up at hearing some of my stories on what was being targeted and why. She knew ideological thinking from her childhood. Maybe it was reading that 1988 KEEP book I wrote about a week ago on creating the “dialectical growth of concepts” to be interpretive and integrative filters in each child’s mind. I was ready to really grapple with this painful aspect of the real implementation template of these global education reforms. But I think the epiphany started with reading The Devil in History by Rumanian emigrant, now Maryland poli sci professor Vladimir Tismaneanu, and phrases like “their [the Communist regimes in the USSR and Eastern Europe] main weakness was a failure to muzzle the human mind.” Oh. Just imagine importing their theories and this time trying on an unsuspecting West via unappreciated education reforms. Describing from his experience, you can imagine my shock at reading descriptions of “conceptual frameworks” that “acted to make sense of general experience for all: all real phenomena could be judged against it and were ascribed value, form and essence in its light.” Do you know how often I have encountered conceptual frameworks in tracking the real Common Core? CRESST itself even told the Hewlett Foundation reassuringly that the actual assessments would be built around those, not the content standards. I have never lived in a society where it is considered “seditious” to maintain your individuality but plenty of people have and they have written about it. When I first wrote this alarming post on Yrjo Engestrom and where I saw the Global Cities Education Network taking us http://www.invisibleserfscollar.com/treating-western-society-and-its-economy-as-a-train-in-need-of-rebuilding-and-central-direction/ , I grasped that he did not sound like he was describing a dead philosophy or theories. But I did not yet know that in 1991 he wrote an essay called “Activity theory and individual and social transformation.” Gulp. That sounds just like the aspirations we have been encountering. And it took some searching but this weekend I located a copy. On the servers at Harvard Graduate School of Education as an assigned reading. Maybe to go with the 10 Cs I first described here? That report, which I found on a server listed as a Common Core Precursor Document, is the source for the now ubiquitous term–Higher Order Thinking. And that document also thanks Cole and his Laboratory for Comparative Human Cognition for related work that Carnegie also was financing. Thanks a lot Andrew. Might have been better to let your heirs dissipate the fortune with too many mansions and gaudy vehicles. Since Higher Order Thinking is such an important term to today’s actual classroom emphasis under the Common Core and Texas version but also the ancestry of these ideas, let me quote Lauren’s definition with her italics intact. And remember this is for all children. Concepts and expansionary thinking for all you might say. –Higher order thinking is nonalgorithmic. That is, the path of action is not fully specified in advance. –Higher order thinking tends to be complex. The total path is not “visible” (mentally speaking) from any vantage point. –Higher order thinking often yields multiple solutions, each with costs and benefits, rather than unique solutions. –Higher order thinking involves nuanced judgment and interpretation. –Higher order thinking often involves uncertainty. Not everything that bears on the task at hand is known. –Higher order thinking involves imposing meaning, finding structure in apparent disorder. [If that reminds you of RECAST, David Perkins of Project Zero is listed as involved with this report]. Well, it is my belief that all those are euphemisms for saying higher order thinking is ideological. It is training students to think in terms of assigned categories and imagine different futures for everyone one involved. Planning. Imagining a different economic structure. Other ways to organize societies. Solutions for alleged catastrophes. Creativity that is not impeded by knowledge of what worked or led to catastrophe in the past. Not your own conceptual understandings as gifted students have developed them through the ages but supplied concepts and models and definitions. There were more congresses on Activity Theory and they were absolutely chock full of Russian psychologists. Which actually makes sense as I will show you in the next post that CHAT and what is now called ISCAR–International Society for Cultural and Activity Theory–are related to the so-called New Thinking that Mikhail Gorbachev transitioned to in the mid-80s as part of perestroika. And why it appears that the restructurings were not just physical but also altered mindsets, values and beliefs, and new interpretive theories. Global this time. Remember Davydov and his Ascending from the Abstract to the Concrete as the new mode of ideologically oriented systems thinking was called? He died in 1998 and was revered at that year’s ISCAR Congress in Copenhagen where his planned address was read instead. The most recent Congress was in 2011 in Rome, Italy. Guess which names showed up as part of the International Scientific Committee for that ISCAR conference? Why that would be Michael Cole, Yrjo Engestrom, and Lauren Resnick. Just in time to make sure the US Common Core implementation and assessments align with ISCAR philosophy and those higher order skills criteria from so long ago. In case you are too busy to check, the described foundations of ISCAR fit perfectly with what Engestrom described above in 1991 as the source of Activity Theory. Which is also the current basis for most education degrees in the US. Especially the Masters and Doctorates. Now I am just getting started on all the links involved. And I have read too much history not to have a perspective on what we are looking at here. But I want you to get used to an idea that I have known for a while but this time approached through a new direction. The Cold War simply did not end quite in the manner we believed. And the potentials of Activity Theory and a stealth noetic assault on Western values and beliefs appear to be the reasons we were played. It was a good strategy but unfortunately the answers of why lie in history and political theory books I have now read. Digest the above revelations and then we will talk some more. And no I am not speculating here. This is way too serious for conjecture. But it is fascinating too because it also makes perfect sense. Actually more sense than the spun stories once you get used to the idea. If you want to “create a world where individuals will work even when they know that much of the fruit of their labor will go to those who are less fortunate,” you are going to need to use education to target prevailing social norms. If you believe that Marx’s famous quote “From each according to his ability and to each according to his need” has “morally resonant appeal” and wish to see a future society that does not dismiss that appeal “out of hand as mere sloganeering,” a perch as a World Bank economist is a tremendous platform to try to go about making it so. 21st Century Learning, perhaps? Almost precisely like Transformational Outcomes Based Education sought to do in the 90s version of these education reforms. Names change but never really the goals. One of the aspects of Common Core that is consistent throughout but in the small print is its stated desire to create ‘habits of mind.” Think of those as unconscious reflexes. Now compare with Akerlof’s recognition that people “act as they do, naturally and without question, mostly out of habit. They are products of their social environment and unaware they might have behaved differently.” Remember also schools are a social environment of long duration. So if you can use education, preschool, K-12, or higher ed (all of the above is even nicer to a future Transformationist) to create the desired feelings and values and influential conceptual understandings that filter daily life you can go a long way toward changing the future. Especially if you also rely on another insight from social psychology Akerlof points out: “individuals’ behavior depends on who people think they are.” So effective schools should get at Identity and define it in politically useful ways. Early and often. Like Chicago voting. If those pros were unaware, what about now? Hegel’s philosophy is obviously a touchy subject to have as a foundation. A Soviet heritage is bad enough but tracking even further back to a common ancestry with what launched two World Wars and the Holocaust is undeniably even worse. And if the psychologists in 1982 were unlikely to know this history, how much less likely is it that a teacher or principal or administrator or politician know about this background to student-centered learning? To launder a notorious heritage you simply make it a basis for the amorphous terms “pedagogy” and “Best Practices” and “Constructivism” and then pronounce it as a better way to learn. Grounded in emotion is an easier way to remember and you simply leave out Hegel’s desire to bring values and human experience into how all science is done. And since few know of the linkage back to Hegel, modern 21st century educators cannot rely on Scottish novelist and statesman Robert Buchan’s excellent advice from more than 100 years ago. “A man who has been nourished on German metaphysics should make a point of expressing his thoughts in plain workaday English, for the technical terms of German philosophy have a kind of hypnotic power; they create a world remote from common reality where reconciliations and synthesis flow as smoothly and with as little meaning as in an opiate dream.” And you are wondering what does metaphysics have to to with Identity Economics and the Common Core? The idea of using activity and interactions with others to achieve personal growth is also Hegel. Which means the criteria of Student Growth that the US federal DoEd is requiring that teacher evals be based on ultimately tracks back to Hegel and his theories on how to change consciousness. Moreover, a change in values, attitudes, beliefs, and feelings or a willingness to apply new concepts constitutes Student Growth. And usefully for the economists that started this post that would also be a useful change in Identity and over time prevailing norms. So are people basically good as so many of these philosophers and economists want to believe? Will we remember the lessons of history before we once again light this Hegelian powder keg for achieving social change? The actual Common Core implementation and the intent of its assessments and the accompanying economic, social, and political transformations go far beyond a touch or a push. Shoving into the abyss is more like it regardless of anyone’s good intentions. And without much accurate actual knowledge and a deliberate cultivation of a desire for change, there does not even seem to be a parachute or a tool to catch a ledge. In one of those obvious statements that really deserves a sarcastic “Really Sherlock?” response, did you know that people differ in their ability to come up with explanations and structures to organize their thoughts? Which is of course unfair. So in the interests of fairness and equity and without any mention of the political usefulness, schools and effective teaching should now be about providing those so-called Cognitive Structures. That enable thinking and motivate acting in the future. Thinking Tools. How nice. Then there need not be any “cognitive consequences of cultural opportunity.” Single parents, second language, learning disabilities. School will provide the Enduring or Deep Understandings that “serves to organize perception in new ways.” That conceptual lens that may not be true and is not spontaneously generated by All children will now fortuitously be Provided to All children. And there’s nothing quite like providing “accepted explanatory belief systems” that are practiced with daily over years to transform those norms to instinctive responses. So nice from someone who also wrote that the “demise of the USSR is thus an indictment of a perverse brand of capitalism, not of socialism.” Gulp. Lots of political value in providing the concepts that guide everyday life. And don’t think the radical educators and political schemers (who are sometimes the same person) do not know it. They have been gloating over this for decades beyond our sight but not unrecorded for posterity. Now neither CHAT nor Vygotsky strikes me as neglected in the least. I am practically feeling crushed by the frequency at which they pop up without looking. I think that essay though was intended to mainstream these theories in preparation for offense and implementation in more classrooms. The fact that the paper received funding from the Canadian government and had a co-author from Singapore further suggests we are dealing with a coordinated psychological assault against the individual mind anywhere that ever upheld Anglo-Saxon common law. This is a little long but important. Concepts matter and Concepts aimed at Reorganizing Thought matter most of all. Well, I guess the dialectical part comes from wanting to fundamentally transform it and CHAT is apparently a PRIMO tool. Did you know that “dialectics is ‘possibly the most appropriate frame of reference for the study of human development, and indeed was actually developed as an explanation for human development?” Well, actually I did point that out http://www.invisibleserfscollar.com/who-knew-karl-marx-had-a-human-development-model-or-that-it-fit-our-facts-so-well/ but now we know once again why it fits our Common Core and global reform realities so well. I am not going to belabor the number of times those coauthors used that D word in that essay. I will, however, mention that the result of all those contradictions and synthesis of Concepts results in a Deep Understanding. Which is exactly the phraseology the Hewlett Foundation keeps using to describe where it sees the Common Core going. And it dovetails with the Education for Life and Work report from last summer. http://www.invisibleserfscollar.com/so-now-common-core-rejects-individual-thinking-to-embrace-soviet-psychology-ecology/ . Boy it sure does look like Leont’ev is getting his transformative experiment in the West that he told Urie Bronfenbrenner he aspired to back in the 60s. http://www.invisibleserfscollar.com/imitating-the-ussr-in-striving-to-discover-how-the-child-can-become-what-he-not-yet-is/ is the post where I explained that ginormous discovery. That is even more important now as we think about all those false conceptual lenses in Urie’s Ecological Systems Thinking Theory. Which is all through the new C3 Social Studies Framework. These research observations could be used to help teach students to better understand reality as it exists but that would not be transformative. Or perhaps as Engaging. Instead the weaving of schooled concepts with the everyday is to be used to create activities and projects and learning tasks with the purpose of “a fundamental restructuring in which all are transformed: actions, relationships, and thinking.” The cite is to another Soviet psychologist. This time El’konin. I am not looking for Boogie Men (or women) here but we clearly have a constant refrain of Transformation. And I am getting an increasingly uncomfortable feeling that many influential people at the helm or employed by influential institutions or foundations believe that the Human Development aspects of Uncle Karl’s writings make a good Overlord theory for the 21st Century. And they do intend to give it a try in real time on a massive scale all over the West. But especially against the World’s only Superpower and its economy. And the US for the most part is completely unaware that this most subjugating of theories against the primacy of the individual is coming in under an “How All Children Can Learn” banner. Future Common Communicative Competence With Regional Economies Focused on Effective Social Relationships? Readers beyond a certain age or with a fondness for TV reruns are likely responding to that title with a high-pitched “Say What?” This is one of those seminal posts that ties together the education, social, political, and economic visions for the future. I am using US documents since we do have that pesky US Constitution that vests (or is supposed to) ultimate authority in the individual instead of the state. But the vision works everywhere and actually was kindly laid out in a 2001 book The Global Third Way Debate edited by British sociologist Anthony Giddens but with global participation. Notable US writers included reps from Harvard’s Kennedy School of Government, the Brookings Institute (now pushing Metropolitanism and the Global Cities Initiative so hard), and the Ford Foundation (financing so much but especially new economics and Global Transition 2012 http://neweconomicsinstitute.org/ last year leading up to the Twentieth Anniversary of the original Rio Summit). Every one of the Social Studies 2009 Enduring Understandings I mentioned in the last post would foster a belief that this kind of wholesale political transformation is permitted by a majority consensus in a society. I believe the Concepts laid out in the Next Generation Science Framework are likewise geared to cultivating beliefs that such social and economic change is necessary. As are the Understandings of Consequence videogames we have covered. To be a large part of the equity in credentialing and increased high school graduation rates that are part of the Common Core and associated Metropolitan Business Development visions. It is no accident that both seek “consortiums of local governments, business and civic organizations, and the private and non-profit sectors to engage in coherent strategic action.” So no more accusing me of being a conspiracy theorist. To the extent we have organized coordination and collusion Brookings has officially pronounced it to be “coherent strategic action.” And it looks just like what the Aspen Institute is now pushing as the Global Fourth Way or Fourth Sector-For Benefit Economy. Education policy is in a position to influence the values, attitudes, and beliefs of the next generation and create the “social capital” and “human capital” of the future. Those beliefs and values can be manipulated to believe in “maximizing communicative equality” through dialogues and the sets of “horizontal relationships” cultivated in school. Bonus points for readers who immediately thought of Fostering Learning Communities as the current example of precisely what is being described. In the aggregate it also fits with the Learning Cities we saw UNESCO pushing globally. I gave you the Integration Theory link because it is my belief that Living Cities is the US version of what is being called Learning Cities elsewhere. They seem to function the same. No wonder effective principals are to be Leading Learning Communities. Perfect priming from a young age for a political transformation is a better description of the effective principal of the future. This is the reason and the vision. a specification of the practical policies and measures which are required in order to change the society and the economy towards the desirable model of social and economic relationships that has been elaborated. [see above links, any or all for examples]. Think of those three elements as a common core to get total transformation over time. So “North American social scientists” and educators figured out that “if third way thinking successfully integrates the concept of social capital into its understanding of the market economy, this will provide it with its own new, rigorous and practical [emphasis in original] analysis of the economy.” Then all you have to do to get the third way implemented is make this sociological view of the economy and its view of social capital part of education and urban planning degree programs, especially those masters and doctorates for future administrators. Easy Peezy Transformation once attached to federal dollars mandating compliance with this vision. Or do without those federal and NGO dollars that will then flow elsewhere to competing cities or regions. “a polity actively nurturing its social capital, the state has to perform a vital partnership and facilitation role in at least two obvious ways. Firstly, it needs to deploy resources to empower disadvantaged individuals: the sick, injured, young, old, poor and poorly-educated, and other groups subject to social exclusion for reasons that are beyond their power to alter, such as their gender or ethnic affiliation. This is to endow them with their citizenship and their liberties [it sounds like what Goodwin Liu called Social Citizenship! ], and so enable them to participate with their fellow citizens on an equal status basis, in all the networks and associations through which social capital functions. [This is also why metrowide school districts and busing are so important to this political vision]. Secondly, there is the importance of the locally devolved form of ‘state’: participatory, local self-government in active partnership and responsive negotiation with the communities and businesses whose environment it administers. Now you know why Green Cities and Smart Cities and Global Cities just keep popping up. Why the very real Agenda 21 implementers met separately and plan with ICLEI-the International Council for Local Environmental Initiatives at the Rio Summit last summer. And had food and wine and a lovely fashion show to boot. I also think that is why the Asia Society funded an “Educating for Global Competency Workshop” facilitated by worldsavvy in Minnesota on April 30th, a few days ago. And is holding a Statewide Summit on Global Learning next week on May 9, 2013 at St Cloud University in Minnesota. Inviting precisely the public and private groups to be involved in the Metropolitan Business Plan on the new economy. With Tony Jackson from the Asia Society as the keynote speaker. That would be why Gifted education is going away and why high-performing suburban schools have to be taken down. Proper Mindsets and Dependent Mediocrity are needed for this vision of the future.